Is it an upgrade, or a sidegrade? Five years later, it started feeling too slow, and I remember to start having keyboard issues. Time to change. Sadly, 9" computers were no longer to be found. Even though I am a touch typist, and a big person, I miss several things about the Acer's tiny keyboard (such as being able to cover the diagonal with a single hand, something useful when you are typing while standing). But, anyway, I got the closest I could to it — In July 2013, I bought the successor to the Acer Aspire One: An 10.5" Acer Aspire One Nowadays, the name that used to identify just the smallest of the Acer Family brethen covers at least up to 15.6" (which is not exactly helpful IMO). Anyway, for close to five years I was also very happy with it. A light laptop that didn't mean a burden to me. Also, very important: A computer I could take with me without ever thinking twice. I often tell people I use a computer I got at a supermarket, and that, bought as new, costed me under US$300. That way, were I to lose it (say, if it falls from my bike, if somebody steals it, if it gets in any way damaged, whatever), it's not a big blow. Quite a difference from my two former laptops, both over US$1000. I enjoyed this computer a lot. So much, I ended up buying four of them (mine, Regina's, and two for her family members). I went to a nearby store, looked at the offers... And, in part due to the attitude of the salesguy, I decided not to (installing Linux will void any warranty, WTF‽ In 2018‽). Came back home, and... My Acer works again! But, I know five years are enough. I decided to keep looking for a replacement. After some hesitation, I decided to join what seems to be the elite group in Debian, and go for a refurbished Thinkpad X230. And that's why I feel this is some sort of "sidegrade" — I am replacing a five year old computer with another five year old computer. Of course, a much sturdier one, built to last, originally sold as an "Ultrabook" (that means, meant for a higher user segment) much more expandable... I'm paying ~US$250, which I'm comfortable with. Looking at several online forums, it is a model quite popular with "knowledgeable" people AFAICT even now. I was hoping, just for the sake of it, to find a X230t (foldable and usable as tablet)... But I won't put too much time into looking for it. The Thinkpad is 12", which I expect will still fit in my smallish satchel I take to my classes. The machine looks as tweakable as I can expect. Spare parts for replacement are readily available. I have 4GB I bought for the Acer I will probably be able to carry on to this machine, so I'm ready with 8GB. I'm eager to feel the keyboard, as it's often repeated it's the best in the laptop world (although it's not the classic one anymore) I'm just considering to pop ~US$100 more and buy an SSD drive, and... Well, lets see how much does this new sidegrade make me smile! I am among the lucky people who got back home from DebConf with a brand new computer: a Banana Pi. 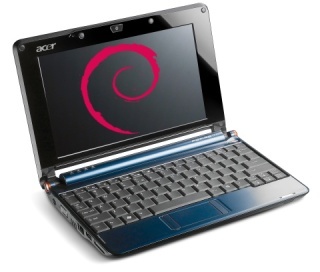 Despite the name similarity, it is not affiliated with the very well known Raspberry Pi, although it is a very comparable (although much better) machine: A dual-core ARM A7 system with 1GB RAM, several more on-board connectors, and same form-factor. I have not yet been able to get it to boot, even from the images distributed on their site (although I cannot complain, I have not devoted more than a hour or so to the process! ), but I do have a gripe on how the images are distributed. And what is bad about them? That they force me to either have heaps of disk space available (2GB or 4GB for each image) or to spend valuable time extracting before recording the image each time. And the result should be the same: A fresh new card with Bananian ready to fly. Right, right, people using these files need to have xz installed on their systems, but... As it stands now, I can suppose current prospective users of a Banana Pi won't fret about facing a standard Unix tool! Somewhere back in August or September, I pre-ordered a CuBox-i — A nicely finished, completely hackable, and reasonably powerful ARM system, nicely packaged and meant to be used to hack on. A sweet deal! There are four models (you can see the different models' specs here) — I went for the top one, and bought a CuBox-i4Pro. That means, I have a US$130 nice little box, with 4 ARM7 cores, 2GB RAM, WiFi, and... well, all of its basic goodies and features. For some more details, look at the CuBox-i block diagram. I got it delivered by early January, and (with no real ARM experience on my side) I finally got to a point where I can, I believe, contribute something to its adoption/usage: How to get a basic Debian system installed and running in it. [update]: Read on if you want to learn the process. If you just want to get the image and start playing with your box, you can go ahead and download it from my people.debian.org space. Note that there is a prebuilt image you can run if you are so inclined: In the CuBox-i forums and wiki, you will find links to a pre-installed Debian image you can use... But I cannot advise to do so. First, it is IMO quite bloated (you need a 4GB card for a very basic Debian install? Seriously?) Second, it has a whole desktop environment (LXDE, if I recall correctly) and a whole set of packages I will probably not use in this little box. Third, there is a preinstalled user, and that's a no-no (user: debian, password: debian). But, most importantly, fourth: It is a nightly build of the Testing (Jessie) suite... Built back in December. So no, as a Debian Developer, it's not something we should recommend our users to run! On the i2 and i4 models, you can use it either with a USB keyboard and a HDMI monitor, or by a serial consoles (smaller models do not have a serial console). I don't have a HDMI monitor handy (only a projector), so I prefer to use the serial terminal. Important details to avoid frustration: The USB keyboard has to be connected to the lower USB port, or it will be ignored during the boot process. And make sure your serial terminal is configured not to use hardware flow control. Minicom is configured by default to use hardware flow control, so it was not sending any characters to the CuBox. ^A-O gets you to the Minicom configuration, select Serial port setup, and disable it. I created a 2GB partition, but much less can suffice; I'd leave it at least to 1GB to do the base install, although it can be less once the system is set up (more on this later). Partition and format using your usual tools (fdisk+mke2fs, or gparted, or whatever suits your style). # dd if=SPL-U-Boot.img of=/dev/mmcblk0 bs=1024 seek=1 skip=1. This card is already bootable and minimal, and allows to debug some bits from the CuBox-i itself (as we will see shortly). So, take note notes: This board is capable of running the armhf architecture (HF for Hardware Float). It can also run armel, but I understand it is way slower. Be patient, as this step takes quite a bit to be finished. So you have now a usable root user, and when you boot with it you can create further users. Tell your computer where to get the Debian packages. I suggest you use the http.debian.net meta-mirror, which will resolve to the mirror closest to you, but you can of course choose from the worldwide list of Debian mirrors. mxc_sdc_fb mxc_sdc_fb.2: NO mxc display driver found! [....] Waiting for /dev to be fully populated...done. [....] Activating lvm and md swap...done. [....] Setting kernel variables ...done. And that's it, the system is live and ready for my commands! So, instead of a 4GB install, we have a 228MB one. Great improvement! Yay, all of Debian is now at your fingertips! Now, lets get it to do something useful, in a most Debianic way! [update]: I finally followed through the instructions again and produced a downloadable image, where I did all of this work, and you can just download it and play with your CuBox-i! You can download it from my people.debian.org space. You will find there instructions on how to get it installed. Some weeks ago I posted about the long-expected demise of my old phone. And even given I don't usually don't pay much attention to phones (and could care less about the smartphone fad), I asked for a recommendation here on what to change to. The only thing that made me look for something other than a ~US$15 phone is that I enjoy having a GPS-enabled device. So, with that in mind, I went to my carrier's offices, with a top budget of MX$2,000 (~US$150), and asked for help. After being a Telcel subscriber for ~10 years (and ~6 with the same device), even though I use prepaid cards only (and seldom pay over MX$100 a month), I expected some advice. So, when the employee told me to go to the phone exhibit they have and pick my favorite, I declined, by telling I just want the cheapest unit with a GPS. He almost immediately offered me the ZTE V791, an Android 2.3-based unit, for MX$990 (~US$75), just around half of what I expected to pay. So I got two - One for myself, one for Regina, as her previous "nice" phone died under the Bosnian rain and had one of the sturdy, reliable but utterly boring US$15 phones for over a year ;-) As a new Mexican resident, she can surely use a GPS as well! (and some other tools in it). So, two nice phones, and still (squarely!) in my projected budget! Not much more to add to this. I am writing this prompted by Russell's "iPhone vs. Android" post. My point after getting these two cheap phones? Having a wide range of devices under this same OS (even if it still has long ways to go freedom-wise) makes it a choice for people like me, who don't want to save money for a couple of months in order to get the newest gadget. I hope this phone lasts with me several years as well, without changing my usage pattern! Today I went to the La Merced area to finally buy a foldable bike. There were basically four options: Benotto's 20" Utopia, Alubike 16" Foldingbike, Alubike 24" and a custom-made bike at a smaller store, Bici Universo. In Mexico it is also possible to buy a Brompton, although they are not available in larger stores and their pricing is prohibitive. Sergio Mendoza advised me to look for the Dahon bikes at Benotto, but they have discontinued them in favor of their own making. 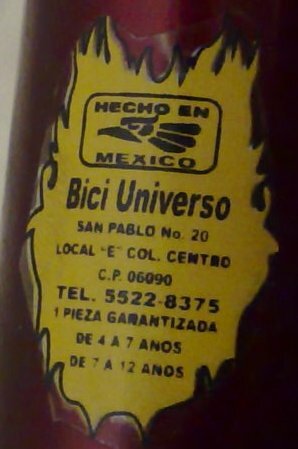 I ended up buying the Bici Universo one. I must say this: I sincerely hope not to regret this option — I got this bike because neither of the other ones satisfied me, and this one was at about two thirds the price (MX$1800, plus some extras I requested, MX$2100 — That means, US$187 or €113). First of all, after thinking about it for a while, I decided I didn't want a larger, more normal wheel — The Alubike 24 (which I'd have to build shopping piece by piece, as they had only the frame for sale — Would be a good ocassion to learn more about the whole process!) is basically a great regular bike you can put in a regular car trunk, but is still too large for taking it into public transport or lugging along when travelling, by bus or by plane. Besides, the handlebar1 is not foldable. So it is basically as portable as this venerable Compaq. The Benotto's manubrium does fold, but the bike does not hold itself together when folded, it is not stable. You have to explicitly keep it folded. Not exactly comfortable. I had tested the smaller Alubike at another bike store closer to my home. It feels a bit freer than the Universo one (I'll get to it soon), but still feels a bit kludgy... And at a price about MX$1000 higher, I decided against it. It is also a heavy bike (I have not weighed it yet, but comparative guesstimates puts it over the Alubikes), so it might be problematic when travelling... 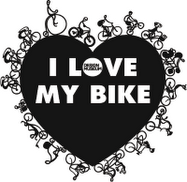 I'll see when in Nicaragua in a couple of weeks ;-) I have yet a couple of adjustments to make to it, but I am very looking forward to travelling with my bike on. I hope it turns out to be comfortable. And in any case, I can —of course!— donate it to my nephews... who are in the right age group. Today I had some free time in my hands (of course, putting aside everything else I should be doing), so I decided to un-uglify my machine. I hate having random stuff in /usr/local! So I packaged Rachel Greenham's acerfand for Debian. It should hit unstable soon. Note that in the future, this package might provide some more niceties... I decided to -at least for now- stash away acer_ec in /usr/share/acerfand, but it does open a nice window to the AAO's EC(?) registers... And could be useful for many other things. [Update]: Following Matthew's comments, both on this blog post and on the ITP bug, I am not uploading acerfand to Debian. Still, I'm using the program and find it working fine, and quite useful. You can use it from my personal repository, as written above. Back from Argentina, back from DebConf. As always, the ~3 weeks I spent there were really great, in as many fronts as I can imagine or describe. But I won't go into that now - For the purposes of this posting, the single thing that I got out of DebConf was looking with envy at all the people that had something that used to be called a sub-notebook some time ago, and now morphed into the more modern(?) name netbook. Several people were seen with their tiny Asus Eee machines, of various models. And I definitively decided I want one - I was quite close to buying one in Argentina, as they are readily for sale there (surprisingly, in Mexico Asus sells motherboards, but no netbooks)... But I've always prefered waiting or paying a little premium for having an on-country seller and warranty. Back home, Pooka told me that several stores in Mexico do sell the Acer Aspire One. After a little research, I decided to go for it. Office Depot sells the AAO for MX$4500 (around US$450). The only model they carry comes with Windows XP installed (instead of Linpus Linux), which is a shame I thoroughly repeated to the vendor - But it does come with 1GB RAM and 120GB HDD, much better for my needs than the other model, with 512MB RAM and 8GB SSD. This is, after all, a full (although very small) machine. It has an Intel Atom 270 CPU - I haven't yet measured how it fares, but it feels quite responsive so far for typical desktop tasks. But what made me really happy about it is the Debian support. The only tricky part was to get the installer going, as it does not have a CD drive to boot from (and I didn't want to completely overwrite my only available USB stick's data). Don't try installing Debian Etch, as its kernel will not support the built-in Realtek RTL8101E network card (maybe etch-and-a-half's kernel does?). My greatest ally in this was, of course, the wiki.debian.org article on the Acer One - I rebooted with Lenny's debian-installer, and everything was smooth from that point on. Propietary firmware is required for the wireless AR5007 card and webcam, but -exactly as documented in the wiki- they are covered respectively by madwifi and linux-uvc. I did a very regular install, with basically the default desktop and notebook setup. I continue to be amazed... Everything just works! It is not even fun, there are no funny drivers to recompile, no bang-your-head-against-the-wall... Even suspend-to-RAM. It just works. The only glitch I found so far is that, after suspend-to-RAM, the madwifi module must be removed and reloaded to have wireless network. This is a well-known glitch that can be easily worked around. But besides that, it is... as easy as it gets. And, at such a price, and under 1Kg weight... This computer will get used to go out with me quite often! Battery life is just 2 hours, but for most situations, it's more than enough. Andrew asks about Linux-friendly eSATA controllers. A long time ago, I also looked for some - but basically no one seems to know about that, or will try to rip your eyes for it. In January, however, I looked for (and bought) an external USB enclosure for SATA disks. As portability was more important than speed, I only asked for USB. Good, got the kit, paid for it. The external enclosure had an external eSATA port. Not only that, it shipped with a standard PC expansion slot bracket and adaptor - Yes, it connects to your internal SATA port, and provides an external eSATA port. And, of course, it will work with your current kernel painlessly. And, of course, it is even cheaper than a SATA controller with an external port. And you call them abusive? Madduck complains about the lack of attractive data plans for mobile phone providers in Switzerland. Madduck: As always, you will have to remember there are many people confronted with a much worse situation than yours. The cheapest plan starts at MX$59 (around US$5.5) a month, and gives you a whooping 1MB of allowed transfer - Anything you do over 1MB will cost you MX$0.06 per kilobyte. Yes, Telcel offers a 1.5Mbps connection, so it'd theoretically take only 6 seconds to exceed the monthly plan. After the joyful first seconds of network access, each second of full-fledged data transfer will cost you 9 pesos - Around US$0.85. How nice! Now, there are plans for 1, 3, 5, 10, 15, 20, 30, 50, 100 and 1000MB. Their price increases at a slow pace up to MX$459, which is still somewhat expensive if you even thought on using your cell phone as a gateway (say, over Bluetooth) for your regular computer's connectivity. Of course, if I buy 1GB of data transfer, I'd expect a much lower price for each additional Kb. Well, no, it only goes down to MX$0.03. Per Kilobyte, yes, you read right. Those little things your Vic20 was full of. There is even an unlimited plan. Well, yes, unlimited but limited - For MX$579 (~US$55) you get a nice deal, right? After all, I pay MX$350 for my 1024/128 DSL connection - it is on the right range. Well, no - If you get over 3GB in one month, your data rate will drop to 128Kbps for the rest of the month. Nice. No good as a gateway either. So, I'm not hiring a 3G plan at all. But that's also a danger - If I open a net-using program at the wrong moment, I'll be billed at MX$0.14 per Kilobyte. [update] There is another similar service in Mexico, IUSAcell's BAM. Pricing is equivalent, though. Call me reiterative, but yes, it is this time of the month again: Last Sunday. Today we went cycling to my city's Ciclotón. Although Nadezhda already took part in the August 2007 ciclotón, I was flying in from Europe that day. When I did the Ciclotón in October, she was in Monterrey. Then in December, Rodrigo reminded us that we missed it. So, this is the first time I do the Ciclotón with Nadezhda! (To my defense: Yes, I sent a SMS to Rodrigo... But too late - He probably didn't plan it on time, so we just didn't meet once again). A week ago, I got my fourth cell phone so far. This is the first time, however, that I pay for it - even though the first one I had was a very nice smartphone for its time (basically, a not-really-well-integrated Palm Vx and a bulky phone very worthy back in its time. Anyway - Some months ago, I decided I wanted a Wifi-able phone, in order not to need to carry around my laptop for simple tasks such as checking my mail. Shortly after I started looking for phones which fit my needs, I found Nokia's N95. The map-maniac in me found it had a GPS, and... Well, it just became matter of waiting until my phone company brought it to the Mexican market (as I paid about half its street-price... Y'know, points for customer loyalty, blah blah). Anyway... I've been extensively playing with my new toy, and although I am still often frustrated by Symbian's so very-very-propietary-minded OS and general culture (it's amazing the number of for-a-fee very simple applications! ), I'm very happy. So far, my favorite application (and, of course, the one that made me jump for it) is Nokia's Sports Tracker. While it does have some issues (particularly the web application - at least its interaction with firefIceWeasel is somewhat buggy; it abuses AJAX interaction and some pieces of information are just not linkable, they lack a proper URL), I'm delighted at using it - tracking my theoretically daily excercise sessions, be they excercising per se or my bike rides to work, linking photos taken during those sessions, tagging them to the point and moment they were taken (although, I must admit, it is awkward to take photos while running - And next to impossible while biking, of course). Yes, to many this is not so impressive... But it is really the toy I was looking for.